ASUS has announced the launch of a new notebook preloaded with Microsoft’s latest Windows 10 S, which takes the form of the VivoBook W202 which can be upgraded to Windows 10 Pro if desired without the need to purchase any further hardware. 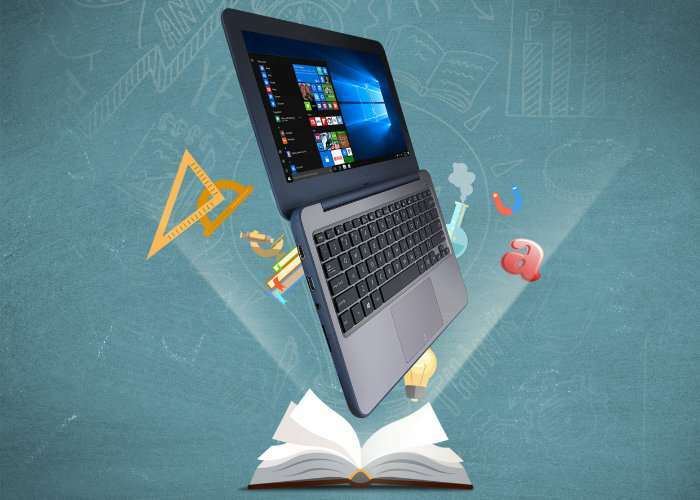 The ASUS VivoBook W202 comes equipped with an 11.6 inch display offering users a resolution of 1366 x 768 pixels and a semi-rugged design with reinforced, rubber-lined edges and corners, making it perfect for education applications and students. Other features of the new ASUS Windows 10 S notebook include connectivity via 802.11ac WiFi, Bluetooth 4.1, 2 x USB 3.0 ports. As well as offering aWindows 10S model ref: W202NA-YS02 and Windows 10 Home version ref: W202NA-DH02. ASUS is also making a more powerful system equipped with an Intel Pentium N4200 quad-core processor, 4GB to 8GB of RAM and 64GB to 128GB of eMMC storage, although no model number reference has been published or pricing as yet.